says Naxos founder Klaus Heymann in an interview in today's Guardian. 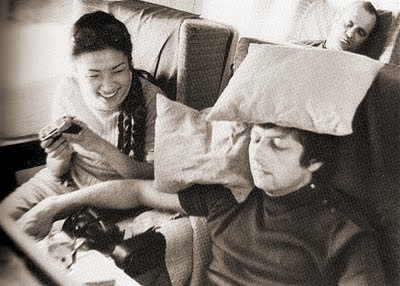 My photo shows a sub-50 Kyung-Wha Chung and André Previn on a tour flight. But when your net worth reaches £190 million you travel in your own jet.